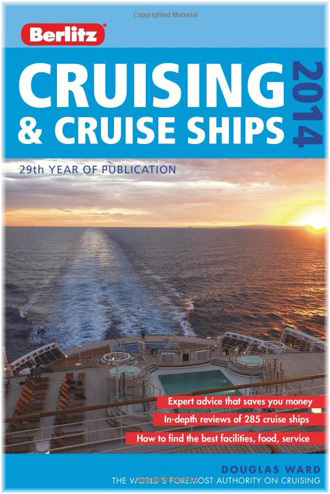 Last week we announced the arrival of the 2014 issue of the Berltz Guide to Cruising and Cruise Ships by Douglas Ward. This week, we have a look at how the new guide rates those ships, with the top five scores in each category. Elsewhere, after standing by the sidelines for several years while concentrating on its half-interest in Norwegian Cruise Line, Genting has finally ordered a large new cruise ship for its Star Cruises operation. And among them, NCL, AIDA and Royal Caribbean have together revealed seven new cruise ship names. Last week we revealed that the 2014 Berlitz Guide to Cruising & Cruise Ships had awarded Hapag-Lloyd Cruises’ Europa 2 the top rating, the first new ship to claim the title in fourteen years. Other ships that have held this honour have included the Royal Viking Sea (now Albatros), Royal Viking Sun (now Prinsendam) and Sagafjord (sold for breaking up last year). In this year’s guide, five completely new ships area also reviewed for the first time. It’s the first time since 1989 that two ships belonging to the same company (Hapag-Lloyd Cruises’ Europa and Europa 2) have achieved a 5-star-plus rating – the last time, twenty-four years ago, it was Royal Viking Line’s Royal Viking Sea and Royal Viking Sky. – eleven out of the top twelve 5/5-star-plus cruise ships are in the small (251-750 passengers) or boutique-sized (50-250 passengers) categories, proof that good things come in small packages. – half of the top ten large ships (more than 1,750 passengers) belong to Celebrity Cruises. These are of course their Solstice class vessels. – Cunard Line’s three Queens comprise the three top-rated large ships – Queen Mary 2 (in Grill Class), Queen Elizabeth and Queen Victoria. – Seabourn dominates the combined small and boutique ships categories, with six vessels in the top twenty, namely Seabourn Quest, Odyssey, Sojourn, Legend, Spirit and Pride (but none scoring in the top five in either category – see below). 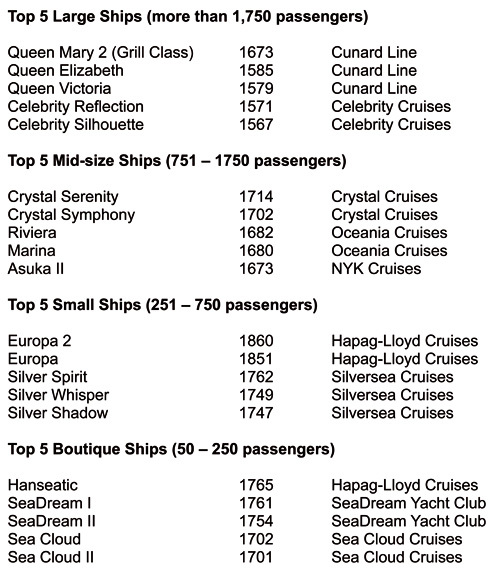 – five of the top ten are Silversea vessels. Only five of the twenty ships named, namely those of Cunard and Celebrity in the large ships sector, are owned by one of the big three cruise ship groupings. Cunard is part of Carnival Corp & plc (which also owns upmarket boutique and small ship operator Seabourn, now run by Holland America) while Royal Caribbean Cruises Ltd owns Celebrity. Also interesting is the fact that none of the all-inclusive Regent Seven Seas ships appears here, although the two newest ships from its non-all-inclusive affiliate Oceania Cruises do. A new App version of the Guide is also now available for Apple devices and can be used as a perfect cruise planning tool. Filter and search options help potential cruisers choose a vessel and voyage according to their needs. 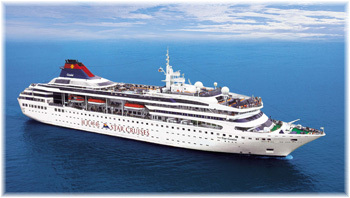 Criteria include cuisine, entertainment, accommodation, size of ship and many others. Expanded from 704 to 752 pages, and now in its 29th year, the 2014 Berlitz Guide to Cruising and Cruise Ships (£17.99 in the UK, $24.99 in North America) as well as an eBook, will be available in November through Amazon and reputable bookstores. 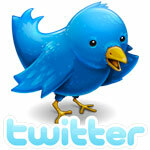 The corresponding App is available from Apple through the iTunes App store. Genting Hong Kong has entered into an agreement with Meyer Werft shipyard for the construction of a new 3,364-berth 1150,000-ton cruise ship for its Star Cruises operation. Valued at €707 million euro, the new vessel will be designed to cater for the unique demands of Asian clientele, in particular China, Hong Kong and Taiwan. The last ship to be added to the Star fleet was the 1,532–berth Superstar Gemini, the former Norwegian Dream, which entered service for Star at the end of last year, but despite a $50 million refit, this ship is now twenty years old. She has been based at Shanghai this summer and this week begins cruising from Sanya on Hainan Island to ports in Vietnam. Star’s largest ship is the 1,974-berth Superstar Virgo, which entered service in 1999, and along with sister ship Superstar Leo (now Norwegian Spirit) was one of the ships that started the whole Freestyle Cruising idea, with multiples choices and times for dining venues. Other Star cruise ships include the 1,529-berth Superstar Aquarius (ex-Norwegian Wind) and 1,418-berth Superstar Libra (ex-Norwegian Sea). Another ship, the 1,009-berth former Viking Line cruise ferry Star Pisces, refurbished earlier this year, offers 1-night overnight dining and gambling cruises from Hong Kong. Although Star is currently the market leader in the Asia-Pacific region, with five ships, it is facing tougher competition than ever before from the likes of Royal Caribbean, Costa and Princess, who have all established Asian subsidiaries and sent several large ships to exploit the local market. Norwegian Escape (delivery October 2015) and Norwegian Bliss (delivery early 2017) are the names chosen for the two new 163,000-ton Breakaway Plus ships ordered from Meyer Werft by Norwegian Cruise Line. 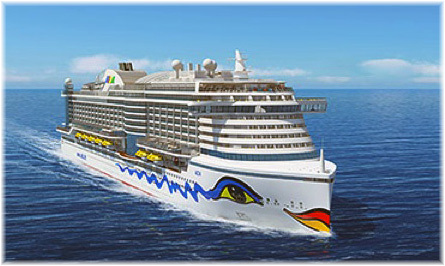 A third ship, the 143,500-ton Norwegian Getaway (delivery January 2014) is also under construction at Meyer Werft for year-round service from Miami. AIDA Cruises has announced AIDAprima as the name of the first of two 125,000-ton ships now under construction at Mitsubishi Heavy Industries in Japan. AIDA Cruises has meanwhile announced AIDAprima as the name of the first of two 125,000-ton ships now under construction at Mitsubishi Heavy Industries in Japan. She will sail year-round from Hamburg on 7-night European Capitals cruises to Southampton (for London), Le Havre (for Paris), Zeebrugge (for Brussels) and Rotterdam (for Amsterdam and The Hague). Her maiden voyage will be an 86-day cruise leaving Yokohama on March 22, 2015, for Hamburg, where she will arrive on June 16. This largest of German cruise ships will attract a lot of attention at the 39 ports in 22 countries where she will call. Meanwhile, over at Royal Caribbean International, four names have been held aside for new ships. Royal Caribbean is building a third Oasis class ship at STX France (delivery June 2016) and also has under construction at Meyer Werft in Germany three ships of the Quantum class, whose first two names have been assigned as Quantum of the Seas (delivery late 2014) and Anthem of the Seas (delivery March 2015). The third is to be delivered in May 2016. Which of the new Oasis class and Quantum class ships will get these names we don’t know, but the names are Ovation of the Seas, Passion of the Seas, Pulse of the Seas and Vantage of the Seas. We can’t say that we particularly like Pulse of the Seas – will Bean of the Seas be next?